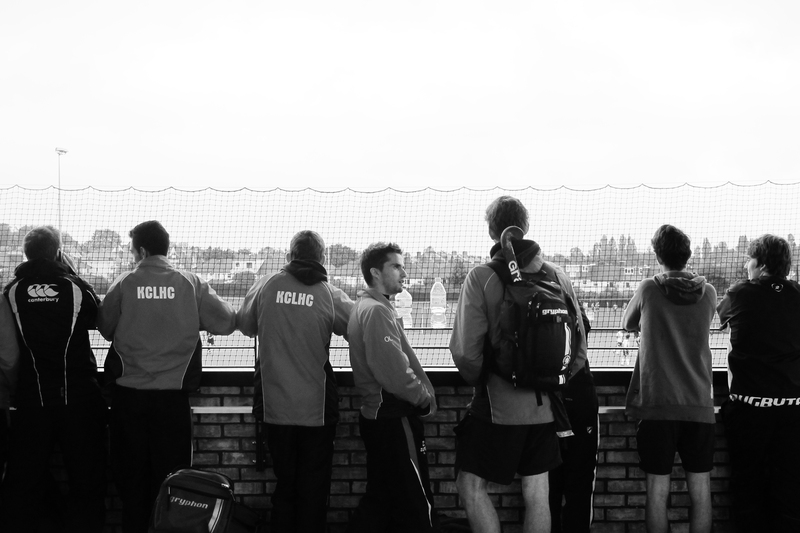 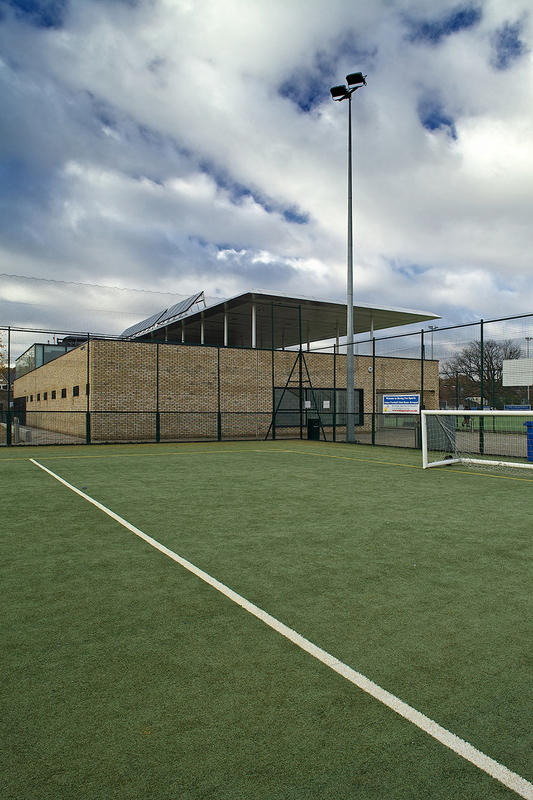 Honor Oak Park Sports Ground and Pavilion provides a range of accommodation for King’s College London’s South-East sports complex. 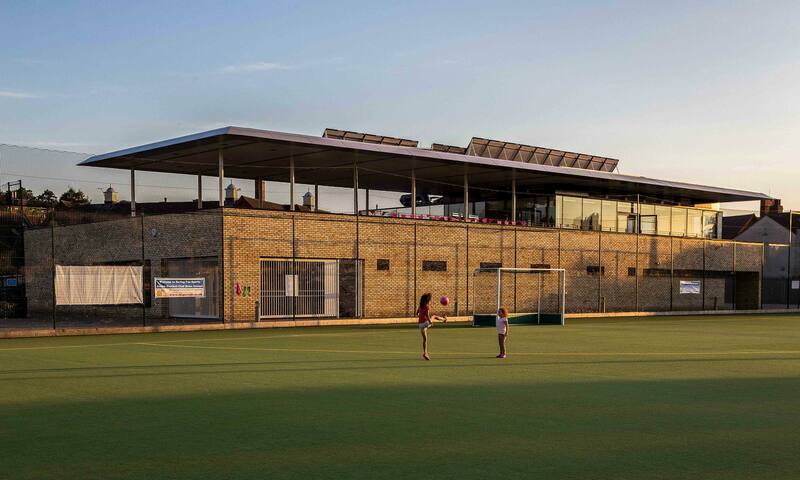 The new Honor Oak Sports Ground and Pavilion replaces a well loved but underused building to provide sports facilities for King’s College London. 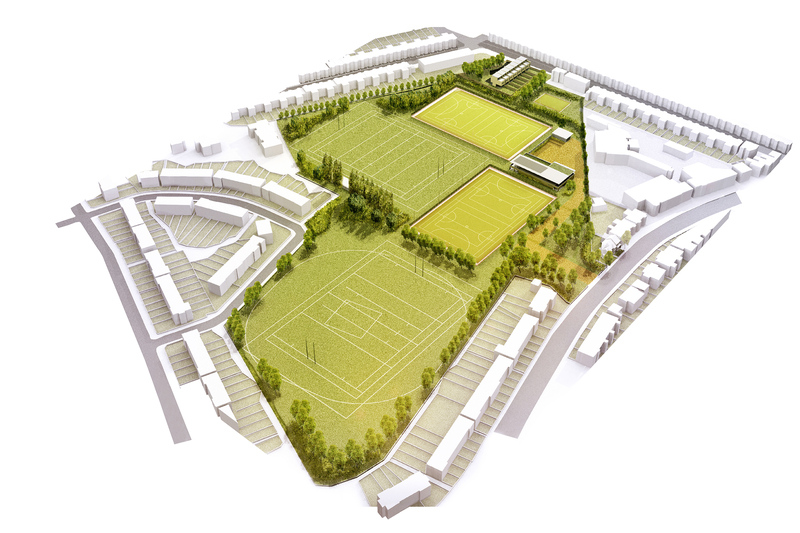 After a thoughtful and detailed consultation process it was agreed to replace the existing clubhouse, home to the world’s oldest rugby club, with a more suitable building. 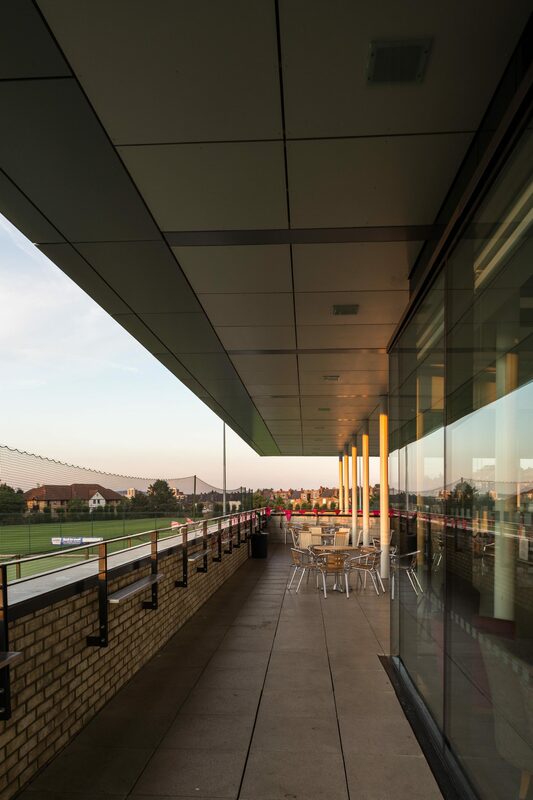 The new pavilion is made up of changing rooms, equipment storage facilities and split-level social spaces, including a terrace that overlooks the landscaped sports grounds. 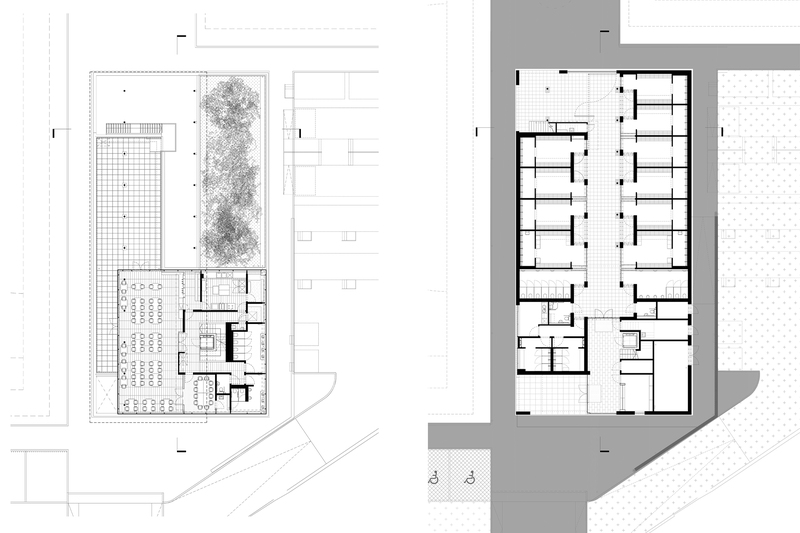 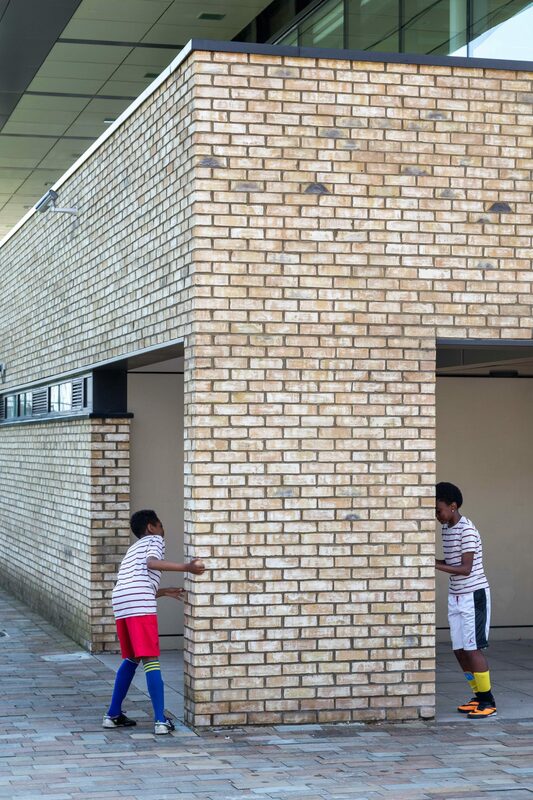 The building form is simple yet strong and uses a brick that echoes the surrounding residential context. 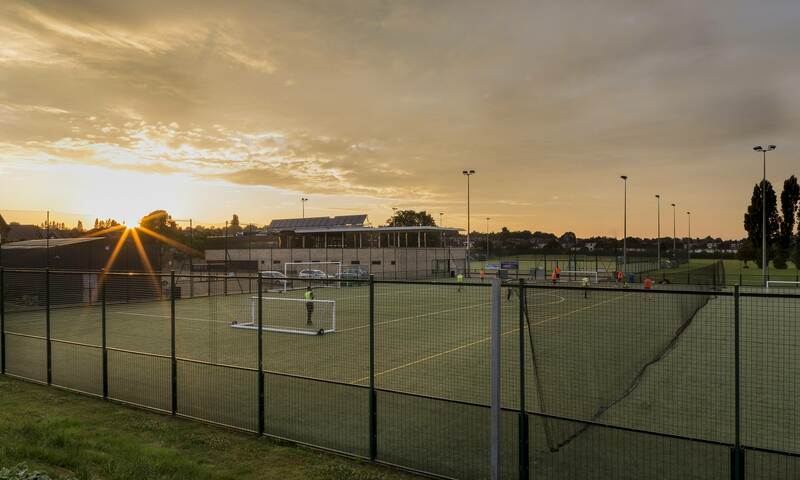 The sustainability targets were high, a difficult feat for sports building, but smart energy-saving features, including a ground source heat pump, meant the project achieved a BREEAM ‘Excellent’ rating.